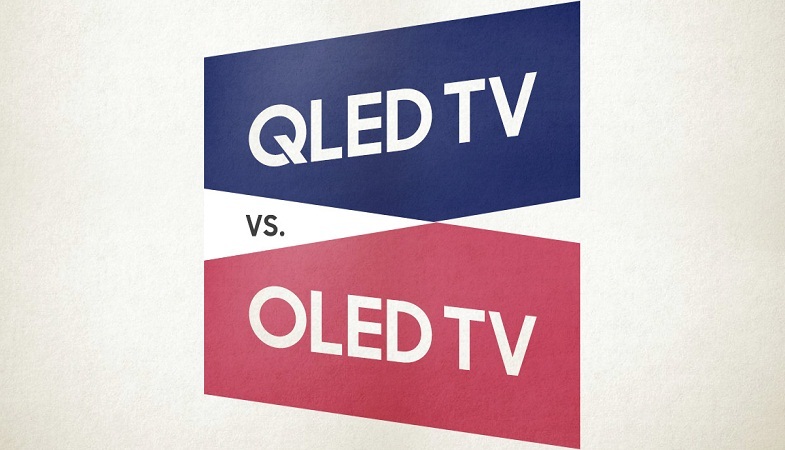 OLED vs QLED. Which TV Technology is Better? Who doesn’t love a good, vibrant, and interactive TV screen? Certainly, we all do. Whether you’re watching your favorite movie/TV show, enjoying a favorite football game or playing a game, if you have installed a good TV screen, the fun will be doubled. There was a time when people used to draw comparisons between plasma and LCD TVs when they had to decide which TV technology would best suit their needs. Now, the game has changed altogether. Well, let’s put it this way. The game and the rules are same but the participants have changed. The current battle between OLED vs QLED has all of a sudden reminded us of plasma vs LCD all over again. If we look at the current consumer buying behavior, we come to find out that Samsung’s QLED TVs have been selling like hot cakes everywhere, thanks to the brand’s aggressive promotions. They’ve made a market of their own. But the question is, has QLED reached the current peak of TV technology or is the hype only due to its severe advertising? On the other hand, OLED TV technology is also making rounds everywhere and is almost supported by all the other TV brands with its panels installed in most of the TV sets. So, without creating much ado about it, let’s find out more about these TV technologies – what they are all about, how different they are from each other and which TV brands support them. OLED comes across as a completely different TV technology. Standing for Organic Light Emitting Diode, OLED makes use of a carbon-based film between two conductors emitting its own light when a wave of electric current passes through. The pixels are producing the light themselves and they are switched off completely when they need to be black. The colored or a bright white pixel can appear next to one that’s black or an entirely different color without creating an impact on the other. 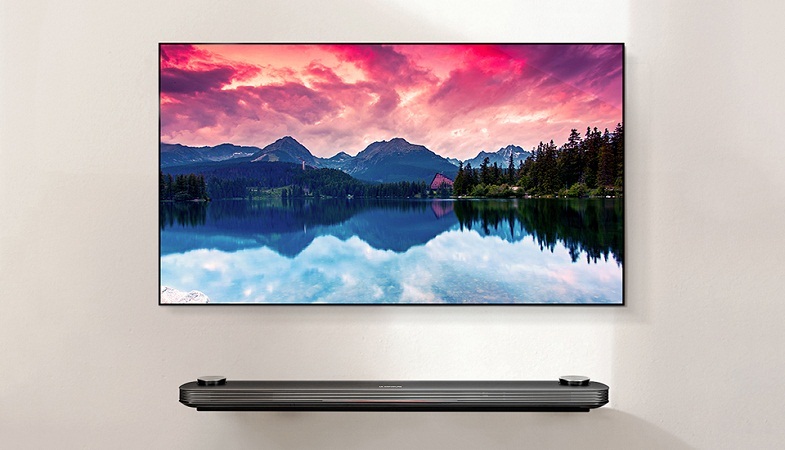 While you’re watching something on an OLED TV for the first time, you will have a feeling that you’ve just witnessed something really special on the screen. There is not a TV technology that has managed to completely eliminate the issue of light emitting from an intentionally bright pixel to those around it. Other pros of OLED are that its panels are thinner and lighter than a typical LED/LCD TV. Even the viewing angles are significantly wider and the response time is also extremely quick. The only downside to OLEDs is that they are slightly expensive to produce. Only LG is the TV brand that is currently producing OLED panels for TVs. So what is QLED? Well, QLED which stands for Quantum-dot Light Emitting Diode is quite different than OLED. The oddest thing is that QLEDs are not OLEDs in reality. They are just like OLEDs in having a self-emissive panel to switch individual pixels on and off. Thanks to the presence of quantum dots – tiny semiconductor particles, each pixel present in the QLED can emit its own light. However, the problem is, the quantum dots in the current QLEDs do not emit their own light. With the help of a backlight passed through them, just like any other ordinary LCD TV, they give off light which comprises of bright, vibrant and diverse colors. This is the reason why QLEDs are not as thin as OLEDs. Samsung is the only TV brand that is aggressively promoting QLED TV technology. If we summarize the QLED TV technology, then we would say that it’s nothing but just a tweak to the LCD TV technology. However, we certainly do not mean that this technology is not impressive. It is really very good and worth experiencing. Which Brands Support OLED and QLED? Majority of the TV brands such as LG, Sony, Panasonic, etc. 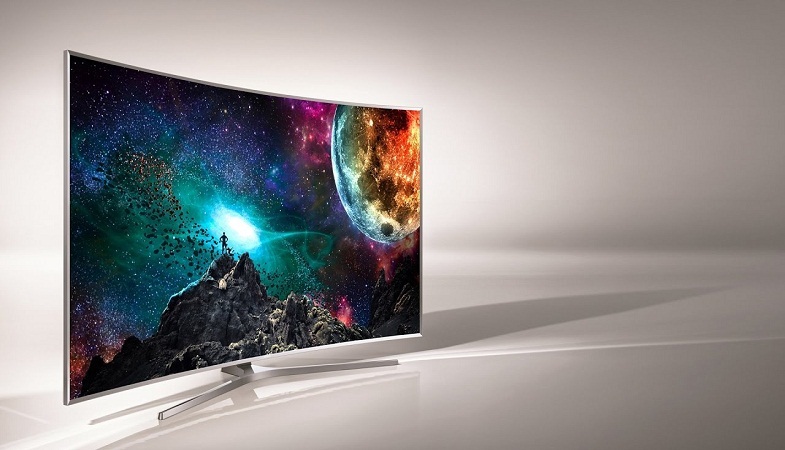 are supporting the OLED TV technology as they believe it offers better picture quality. Other brands like Loewe, TP-Vision (under the Philips brand in the UK), Skyworth, Changhong, and Bang & Olufsen are all selling OLED screen which tends to be quite expensive. On the other hand, Samsung is the only TV brand that is supporting QLED at the moment. In fact, Samsung is trying hard to rope in other brands to popularize this TV technology. 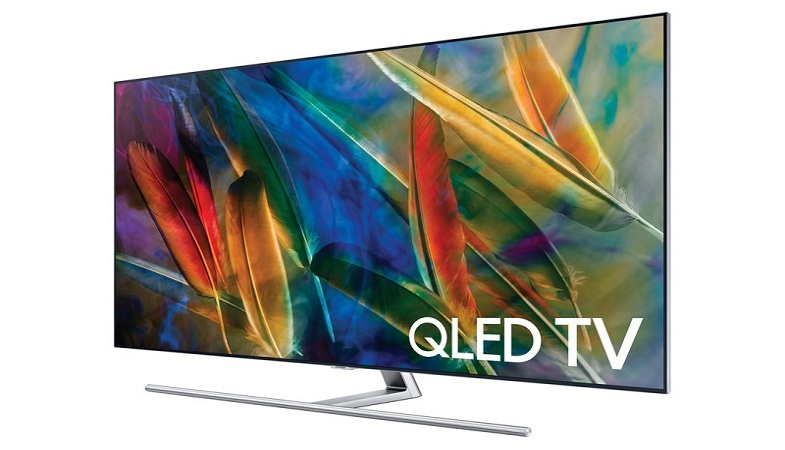 Brands like Hisense and TCL have formed a QLED Alliance with Samsung back in April 2017 to work together for QLED development and to also fight against the increasing use of OLED panels in TV sets. OLED vs QLED? What Should Be Your Pick? 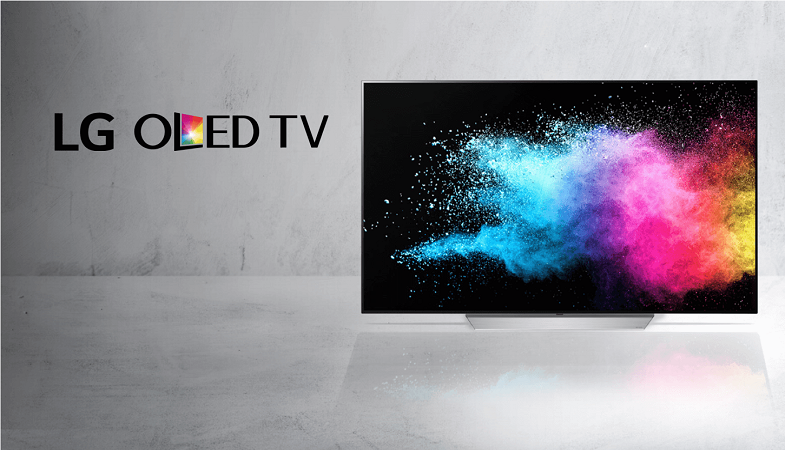 If you’re looking for a high-end 55-inch TV, then you should go for an OLED TV because at that size, both the TV technologies are offering are the same price. However, if you have something else on your mind, perhaps a smaller budget or a smaller TV screen size, then there might be a bit problem. Since Samsung is producing QLEDs and LG Displays is making QLEDs, you might think that you will be able to draw conclusions about which technology is better with games and which is better with movies. However, that’s not the case. the or majority of the consumer electronic products, everything depends on two major factors only – how much you’re willing to spend and which brand you are going to opt for. As far as the evidence we’ve collected and the reviews we have garnered from the consumers so far, we have come to conclude that the images offered by OLED TV technology tend to be more natural and authentic compared to the ones offered by QLED TV technology. In fact, the picture quality offered by OLED is better than that of QLED. But, with the speed Samsung is trying to rope in more companies to produce QLEDs, we cannot say how long OLEDs will rule over QLEDs in the coming time. Samsung’s current range of QLEDs generally cost significantly lower than the OLEDs to have come out in 2017 so we can still say that there’s still a chance for QLED screens to leave their own footprint in the consumer market. What’s next for mobile broadband?